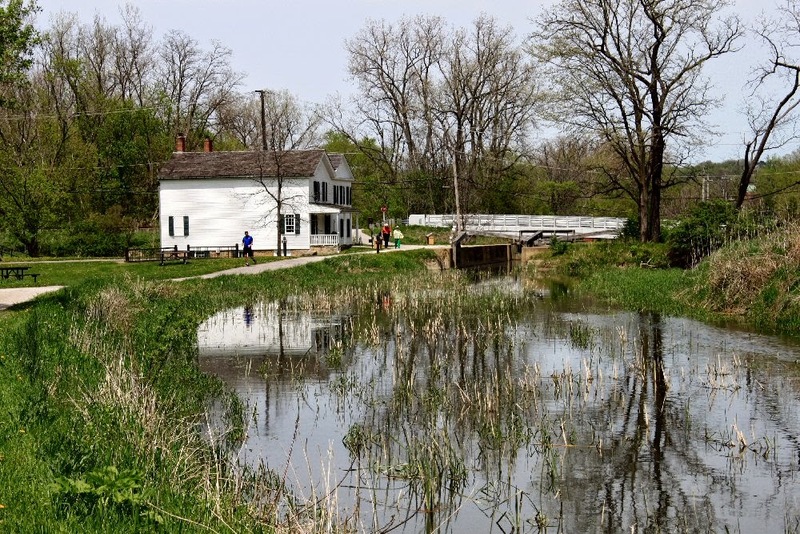 Near us is the Cuyahoga Valley National Park through which the Ohio and Erie Canal runs. 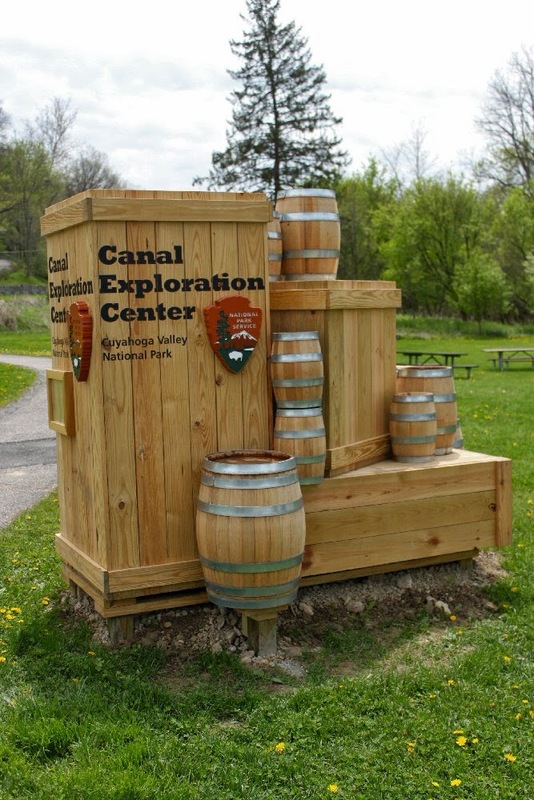 This past weekend we were invited along with other volunteers who are connected to the park in some way (we are with the Cuyahoga Valley Scenic Railroad) to get a sneak peek at the new Canal Exploration Center at the corner of Hillside and Canal Roads. Before this it was known as the Visitor Information Center. Before that, Hell's Little Half Acre or Gleason's. Gleason's as it was known in the heyday of the canal served both locals and canal travelers and dates back to the late 1830s. Located at Lock 38, passengers would get off the canal boat and go into Gleason's to eat, rest, and catch up on the news. They also stocked needles, thread, razors, clay pipes, tobacco, sugar and coffee. They served meals and any delay in proceeding through the lock meant an increase in profits. Like most taverns in the Canal Era, Gleason's was often a hot spot for those who imbibed and earned it's nickname of Hell's Little Half Acre during the 1920s when it was purported to be part of a bootlegging operation. 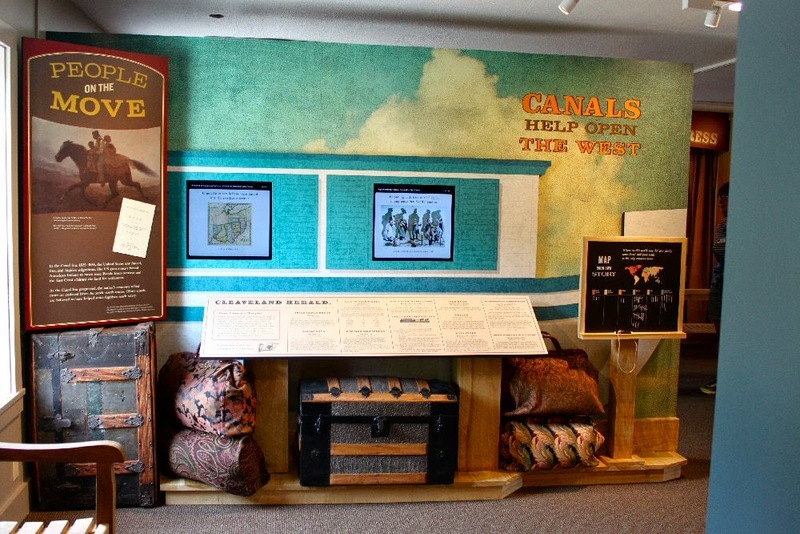 The new Canal Exploration Center is full of hands on exhibits which are rich in information about the canal and the era when it served as a main connection for shipping and industry. The story of building the canal will intrigue engineers and yet is easy enough for the kids to understand as well. 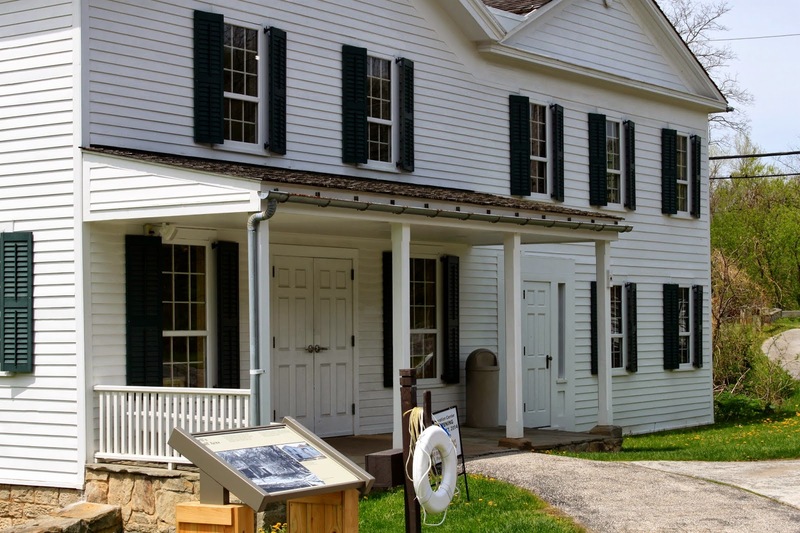 It is well worth a look-see before or after strolling the towpath or taking a train ride through the Valley. Join in the welcome for this new center on Saturday, May 17, 2014, as they have the grand opening.